The gastrointestinal tract is colonized with an enormous number of microorganisms, which play a critical role in shaping the development and function of host innate as well as adaptive immune responses. Evidence from both epidemiologic investigations and experiments in animal models indicates that abnormalities in microbiota composition (dysbiosis) can influence the development of allergic disorders via effects on immune function. Correction of these abnormalities by the use of probiotics or prebiotics, therefore, could have therapeutic or preventive potential. Probiotics can have positive effects on health that contribute to nutrition, modulation of inflammatory and hypersensitivity responses, and prevention of intestinal infections. 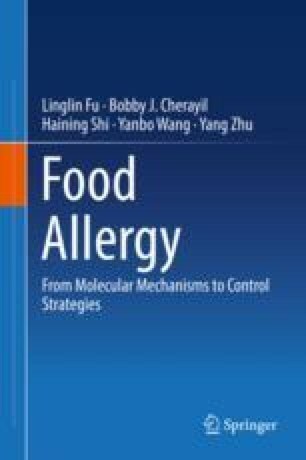 This chapter will review developments in our understanding of the gut microbiota and probiotics in relation to food allergies.